After hair cuts, dye jobs, new clothes and new identities, in this scene in 1934, Bonnie and Clyde learn about their first undercover assignment. The room was dark save for a single light bulb hanging down over the table by a cord. Sal dropped a thick folder on the table for dramatic effect. “It’s showtime,” she said. She flipped it open and pulled out a black and white photo. 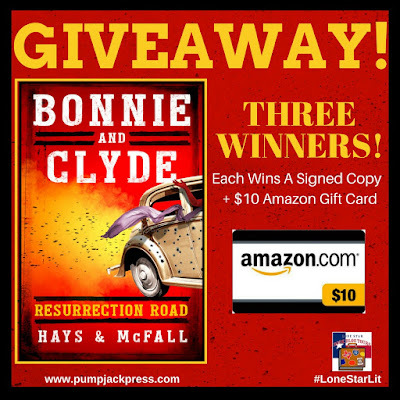 It was a shot of Bonnie—a cigar between her teeth—leaning against the car with a pistol in her hand. 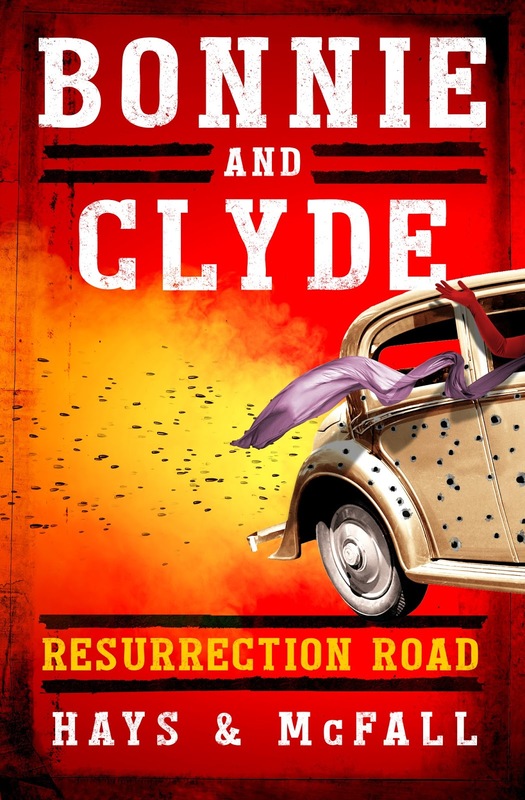 Sal dropped more photos onto the table: Clyde sitting on the front bumper of a car holding a rifle; Clyde picking Bonnie up with one arm, a white fedora in his free hand; Bonnie aiming a gun at Clyde. They exchanged a quick glance, remembering that day and a rare moment of peace and happiness when they had some kicks goofing with the camera. All of that ended abruptly when the law caught up, and they bolted in a hail of gunfire, leaving the camera behind, loaded up with the exposed film. Within days, the photos were wired to newspapers around the nation, and the couple became instant celebrities. “Call it what you want, but folks around this country sure thought they were seeing something special in those photos,” Clyde said. More clippings about the exploits of the outlaw couple followed—car chases, shootouts, murders. The stories chronicling their descent from folk heroes to cold-blooded killers soon blotted out all traces of the smiling photographs from happier days. “Or at least give you fleas,” Sal said. She pulled up a chair to face them, a pistol on her lap. “You want us to rob and kill for you?” Bonnie asked. “What are you on about?” Clyde said. Bonnie held her tongue, waiting for what was coming next. Before Sal could continue, there was a knock from outside. She opened the door and took a paper bag and drink carrier from Carl, and then he closed the door and locked the bolt back into place. They watched as Sal unpacked two turkey sandwiches wrapped in wax paper and three cups of coffee. She put a sandwich and coffee on the table in front of Bonnie and Clyde and then took a coffee for herself. Clyde tore into his sandwich with his free hand and started wolfing it down, but Bonnie—even though she was ravenous—ignored the food and watched Sal coolly. “May I have a smoke?” Bonnie asked. Sal pulled a pack from the bag and tossed it on the table, waiting until Bonnie shook a cigarette free and then struck a match. Bonnie contemplated catching her by the wrist and holding her while Clyde took her pistol, and she felt Clyde tense in mid-bite, anticipating her play. Sal waited until the cigarette caught and then leaned back. “Don’t bother. He has orders to kill us all if need be,” she said. Bonnie inhaled deeply and then puffed out a thin cloud of smoke. Fans of the Western as a genre will delight in Lewis’ ongoing spoof of many traditions which fiction writers from Owen Wister to Elmer Kelton captured well enough to turn into key parts of our myths and folklore….Lewis’s wit is at times Puckishly wry, at other times bawdy in the manner of Chaucer. It is always engaging. Several Old West historians have blessed the Lomax books as expertly crafted fiction. An editor once told me I wrote funny. Now that’s not necessarily something a writer wants to hear because you don’t know if it’s funny “ha ha” or funny “odd.” His point was, as he explained it, that I often have an off-center perspective that lends itself to humor. So, it was an editor that first helped me see the possibility of writing humor. And in fact, Bantam originally approached me about writing a humorous series that became The Memoirs of H.H. 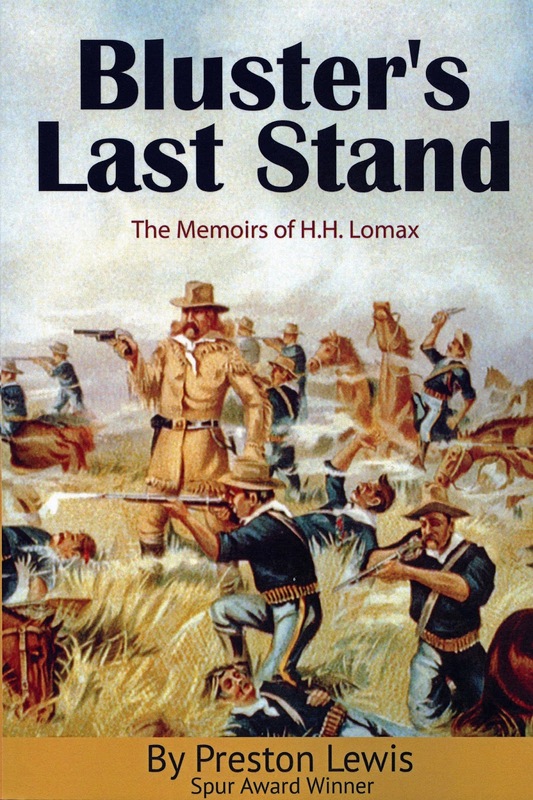 Lomax of which Bluster’s Last Stand is the latest volume. I describe humor as a con game on your expectations or your intellect. So, I’ve developed my six “cons” of humor for novels: convention, contemplation, construction, contrivance (like this list), confluence and, worst of all, constipation. Convention is the parameters, stereotypes or clichés of your genre. Variances on those conventions provide opportunities for humor. Contemplation is a fancy name for research, where I am always looking for odd facts or information that can lend itself to humorous situations. Construction is the setup. Nearly all humor requires a sound setup for effectiveness. Contrivance is the use of plot twists or literary gimmicks to further the action and humor. Confluence is tying it all together into a coherent story rather than just a series of running gags. Then there’s constipation! Like life, sometimes in humor things just don’t come out right for everyone, particularly in these hypersensitive times. What is funny or amusing to one person may be offensive to another. I was once attacked by a reader who was offended by my flippant use of the word “Yankee” because it was demeaning. Seems as a child she moved to the south from the north and was called Yankee by her schoolmates, evidently scarring her emotionally for life. Weird! I happen to know a little bit about Yankees because I married a young lady from Pennsylvania. She is proud to be a Yankee, and we are proud to be parents of two half-Yankees. Stopping the research and beginning the writing is always the hardest part. Research is the fun part. So, I have three writing milestones. First is completing page one. The start is always the hardest part, whether a book or a chapter. Second, when I get to page 10 it’s a milestone because now I am in double digits. The third milestone is when I get to 100 pages because now I am in three digits and I know I won’t have to go four digits, though I’ve written 450 pages on some manuscripts. How do you go about your research? I had an aunt who was an expert quilter. She would cut out pieces of fabric, then arrange them and stitch them together in beautiful patterns and blocks. That’s what I do with research. Keep in mind in my historical novels I am writing about events that have been written about dozens of times. So, I first look for odd or unusual facts that haven’t to my knowledge been utilized in previous novels on this topic. Then I look for facts that intrigue me and facts that I think have some comical potential. Then I try to stitch them together in a narrative that I hope is as enjoyable to read as it was to look at my aunt’s quilts. I now write full-time, but before I retired I wrote part-time. I’ve come to understand that writers face two problems—time and money. Some writers can handle money problems and some can handle time pressures but few can handle both. For instance, I could not handle the pressure of having to make my living for me and my family fully from writing. I might have done it, but I didn’t know and I could not leave my family at risk for my potential failure as a writer. On the other hand, I can handle time pressures and can manage my time well enough to work a job full time and then carve out enough time to write fiction on the side. Now that I am retired, I have all the time I need to write. I started out in newspapers so I learned early how to write on deadline and how to force myself to write, even when things might not be coming easily. Then in higher education communication and marketing I got a variety of writing experience from scripts to brochure copy to magazine features. I created and edited a university magazine, which is a good experience in working and editing with other writers. I was blessed to attend Baylor during a golden period of journalism education at the university. I was fortunate to have studied under legendary Texas journalism professor David McHam, who I remain in touch with to this day. He was not only an exceptional teacher but also an inspirational man. He was responsible for my first two newspaper jobs and a guide for my subsequent graduate education. In addition to my bachelor’s degree from Baylor, I got a master’s degree in journalism at Ohio State, where I was a Kiplinger Fellow in reporting, and a second master’s degree in history from Angelo State University. At ASU I was again blessed to study history under legendary Texas historian Arnoldo DeLeon, who chaired my thesis committee. I would like to do a historical novel on the last six months of the Civil War in the Western Theater as well as some additional comic westerns using some of the characters from my The Fleecing of Fort Griffin. My perfect writing spot is expansive and uncluttered, a contrast from my writing room. Ernie Pyle once wrote that Americans leave a messy battlefield, and I leave an untidy writing space. Who would you cast to play your characters in a movie version of your book? I’m so out of touch with contemporary actors I can’t give a legitimate answer. The ones that come to mind were classic stars from my youth. 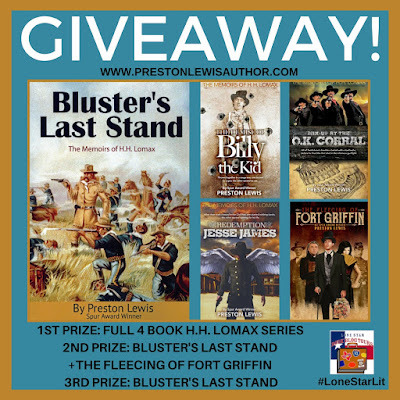 Preston Lewis is the Spur Award-winning author of 30 western, juvenile and historical novels, including Bluster’s Last Stand published by Wild Horse Press. 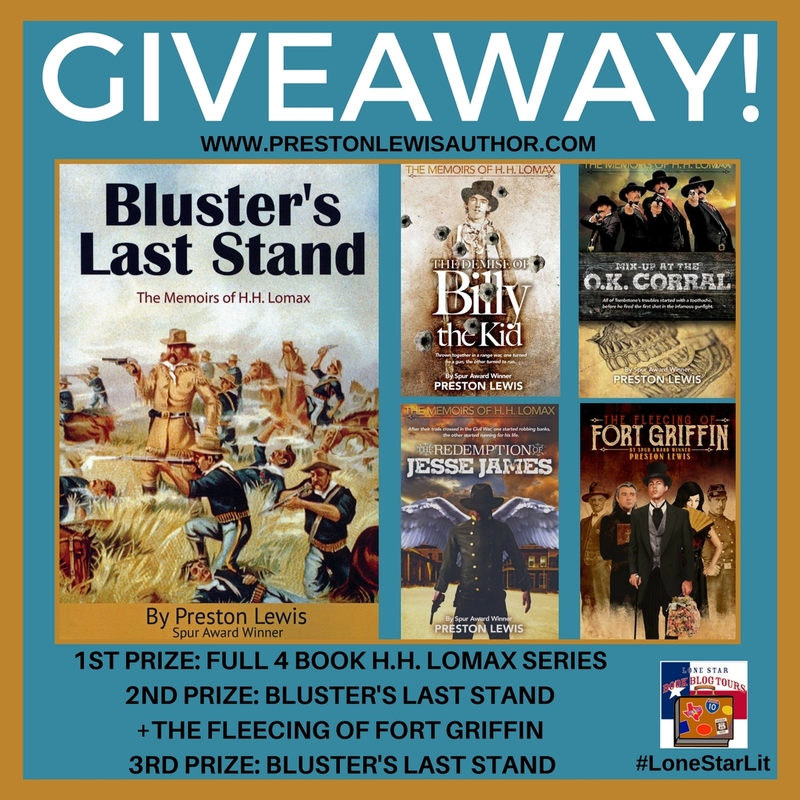 Bluster’s Last Stand, a novel about Custer and the Battle of Little Bighorn, is the latest volume in Lewis’s well-received Memoirs of H.H. Lomax series of comic westerns that began with The Demise of Billy the Kid. Subsequent books in the series—The Redemption of Jesse James and Mix-Up at the O.K. Corral—were both Spur Finalists from Western Writers of America (WWA). Lewis’s historical novel Blood of Texas on the Texas Revolution received WWA’s Spur Award for Best Western Novel. His western caper The Fleecing of Fort Griffin in 2017 earned him his third Elmer Kelton Award from the West Texas Historical Association (WTHA) for best creative work on West Texas. His True West article on the Battle of Yellowhouse Canyon won a Spur Award for Best Nonfiction Article. In addition to True West, his short works have appeared in publications as varied as Louis L’Amour Western Magazine, Persimmon Hill, Dallas Morning News, The Roundup, Journal of the Wild West History Association and San Angelo Standard-Times. 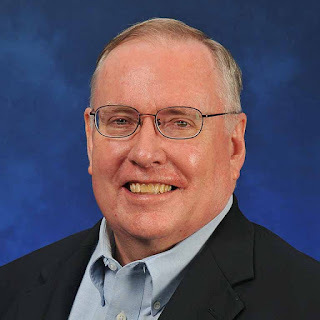 A native West Texan and current San Angelo resident, Lewis holds a bachelor’s degree in journalism from Baylor University and master’s degrees from Ohio State in journalism and Angelo State in history. He is a past president of WWA and WTHA. Lewis is a longstanding member of the Authors Guild and an associate member of the Dramatists Guild of America. December 21st Christmas Radio Show!